This is my partner’s Elantra Limited that we bought a couple weeks ago. 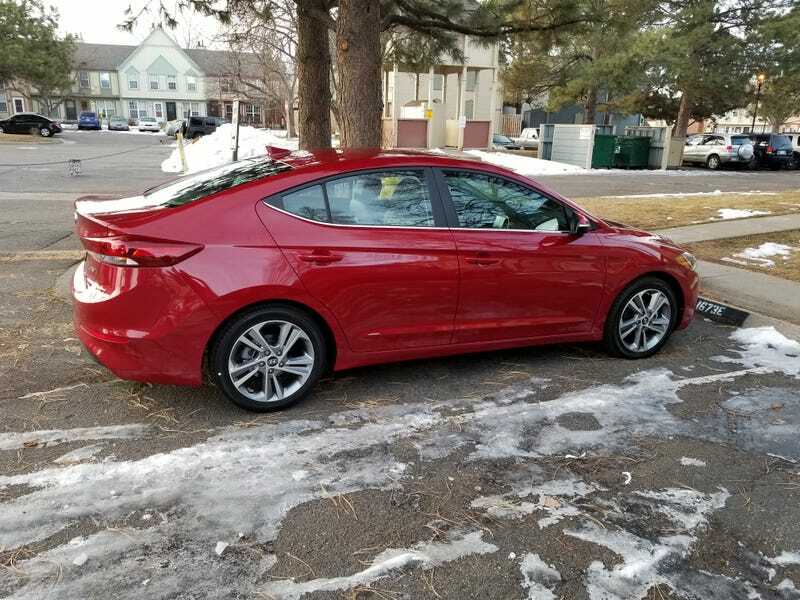 Before that, my parents bought a white 2018 Elantra SE. Yesterday, his parents bought a Maserati Quattropo... I’m just kidding, they bought a dark grey Elantra SEL. Grey sounds blah but it’s actually a pretty color. They traded in my father-in-law’s PT Cruiser, thank God. My mother-in-law drives a Suzuki SX4, which she bought because my partner had one and she liked it. Also yesterday I got to drive my new Ram ProMaster from work for the first time. Why, yes, it IS broken already! It’s minor, fortunately. The mechanism that holds the sliding door open is supposed to release when you pull the handle, but something in it broke and now I have to reach down to force the little plastic hook back in order to close the door. It’s probably an easy fix, but disappointing.